The matches were played in men’s doubles, but "according to specific space rules"
MOSCOW, February 6. /TASS/. Russian cosmonauts and astronauts from the US and Japan played their first badminton match aboard the International Space Station (ISS), Russian state space corporation Roscosmos reported on Tuesday. 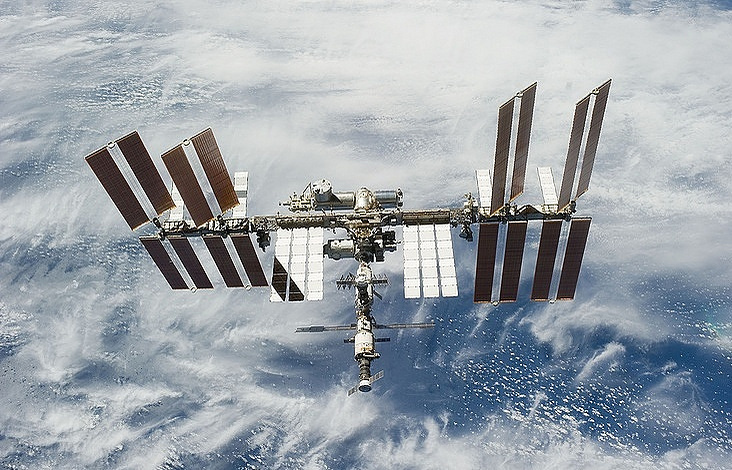 "For the first time, the ISS became a venue for sports. Athletes from Russia, the US and Japan competed in the orbital badminton tournament," representatives of the space agency said. In the first game, Russian cosmonauts Alexandr Misurkin and Anton Shkaplerov played against NASA astronaut Mark Vande Hei and the only Japanese, JAXA astronaut Norishige Kanai. In the second game, American Joseph Acaba replaced his compatriot Vande Hei. According to the official website of the National Badminton Federation of Russia, the matches were played in men’s doubles, but "according to specific space rules": the score in the first outer-space match was not recorded. The Federation however noted that a number of players in the orbital match have already taken part in competitions on the ground. Alexander Misurkin is a two-time champion of the "Star Shuttle" tournament, traditionally held in Russia’s Star City on Cosmonautics Day (April 12). Mark Vande Hei meanwhile took part in the rematch of the "Star Challenge Cup" (between Roscosmos cosmonauts and NASA astronauts). After the extraterrestrial competition, Misurkin confessed that as far as he is concerned, "this is just the same, as putting a flag on Mars," adding that he loves this game. In addition, NASA astronaut Hei asked to allocate a separate module for badminton for future spacecraft that will be sent to outer space, because this is valuable for psychological relaxation and strengthening relations among the crew.